When you hear the words “church government,” what do you think? Members’ meetings? Elder board rooms? Fights over the budget or the color of the carpet? Too often it can seem that way. Yet church government should involve so much more. In fact, it should tie into the everyday life of the church. And everyone has a role to play. Did you know, ordinary church member, that Jesus has given you a job? Your elders have a special office, to be sure, but so do you. And Jesus has given you elders in order to train you to do your job. So if Jesus’s discipleship program gives every single member a job, what responsibilities come with this job? There are at least seven. You, as a baptized Christian and ordinary member of a church, are responsible to attend church regularly. Scripture could not be clearer about this fundamental responsibility so that you can give yourself to love and good works and encouragement. The author threatens final judgment if you do not attend (vv. 26–27). The stakes are high indeed. After all, if you do not attend, you cannot fulfill the next six responsibilities. Attendance makes everything else possible. You, as a baptized Christian and ordinary member of a church, are responsible for protecting and preserving the gospel and the gospel’s ministry in your church. Think about Paul’s “amazement” in Galatians 1: “I am amazed that you are so quickly . . . turning to a different gospel” (v. 6). He upbraids not the pastors, but the members, and tells them to reject even apostles or angels who teach a false gospel. What this means, Christian, is that you are responsible to study the gospel and know it. Can you summarize the gospel in 60 seconds or less? Can you explain the relationship between faith and works? Can a Christian live in unrepentant sin? Why or why not? Why is it important for a Christian to affirm the doctrine of the Trinity? What role do good deeds, fellowship, and hospitality play in promoting a church’s gospel ministry? Why should a church never let its identity and ministry be subverted by a political party? These are the kinds of questions, Christian, that you are responsible to answer in order to help guard the gospel. I am not telling you to find answers independently of your elders. They should equip you to answer such questions. If they aren’t, you might not be in the best church. Know the gospel, and what the gospel requires in the church’s and a Christian’s life. You, as a baptized Christian and ordinary member of a church, are responsible for protecting the gospel and the gospel’s ministry in your church by affirming and disaffirming gospel citizens. In a matter of discipline Paul doesn’t address the Corinthian elders, but the Corinthian church itself (1 Cor. 5:1–13; 2 Cor. 2:6–8). Likewise, it is your responsibility, Christian, to receive and dismiss members. Jesus has given it to you. For you to neglect this work only cultivates complacency, nominalism, and eventually theological liberalism. So how do you preserve the gospel and affirm gospel citizens? By showing up consistently for members’ meetings. Different churches make decisions in different ways, which is fine. But whatever venue your church uses for making the decisions concerning the gospel “what” (the doctrine of the gospel) and the gospel “who” (the people of the gospel), you should be there. You cannot do your job if you don’t show up to the office. Admittedly, members’ meetings have a bad rap. I understand. So many are unhealthy cauldrons of dispute and insurgency. But don’t let bad marriages cause you to give up on marriage. By God’s grace, I’ve been a part of several churches now where the members’ meetings feel like warm, encouraging, and engaging family gatherings. Part of that depends on the leadership of the pastors in those meetings and how they plan it. Part of that depends on you. You, as a baptized Christian and ordinary member of a church, are responsible for protecting the gospel and the gospel’s ministry in your church by discipling other church members. Remember Ephesians 4:15–16. The church builds itself up in love as each part does its work. You have work to do to build up the church. And part of that includes the ministry of words. A few verses later, Paul says, “Speak the truth, each one to his neighbor, because we are members of one another” (v. 25). Speak truth to them, and help them to grow. Our words should be “good for building up someone in need, so that it gives grace to those who hear” (Eph. 4:29). Also, make yourself available to be spoken to. Are you willing to listen? Basic Christianity involves building up other believers. It is a part of fulfilling the Great Commission and making disciples. Speaking of . . .
Every Christian has been reconciled, and thus every Christian has received this message of reconciliation. Therefore, we plead and we pray for sinners to be reconciled to God. This, too, is a part of your job. The command to “Go and make disciples” belongs to you (Matt. 28:19). It’s the job of the pastors or elders to equip the saints for the work of ministry: for these previous six responsibilities (Eph. 4:12). If elders aren’t teaching the gospel, catechizing the church in the gospel, teaching them their responsibility for one another, then they’re ill-equipping the church for the job Jesus has given them. Christian, this means that you’re responsible to avail yourself of the elders’ instruction and counsel. Hold on to the pattern of sound teaching you’ve learned from them (2 Tim. 1:13). Follow their teaching, conduct, purpose, faith, love, and endurance, along with their persecutions and sufferings (2 Tim. 3:10–11). Be the wise son or daughter in Proverbs who takes the path of wisdom, prosperity, and life by fearing the Lord and heeding instruction. It is better than jewels and gold. The Bible gives final authority and therefore responsibility to the gathered congregation. With authority comes responsibility. By joining a church, you become responsible for what your church teaches and for every single member’s discipleship. Who trains you for all this work? Your elders. Add your responsibilities together with theirs and you have Jesus’s discipleship program. Friend, by joining this church, you will become jointly responsible for whether or not this congregation continues to faithfully proclaim the gospel. That means you will become jointly responsible both for what this church teaches, as well as whether or not its members’ lives remain faithful. And one day you will stand before God and give an account for how you used this authority. Will you sit back and stay anonymous, doing little more than passively showing up for 75 minutes on Sundays? Or will you jump in with the hard and rewarding work of studying the gospel, building relationships, and making disciples? We need more hands for the harvest, so we hope you’ll join us in that work. How about you? Have you undertaken this work? This article was adapted from an article published on the Gospel Coalition website. 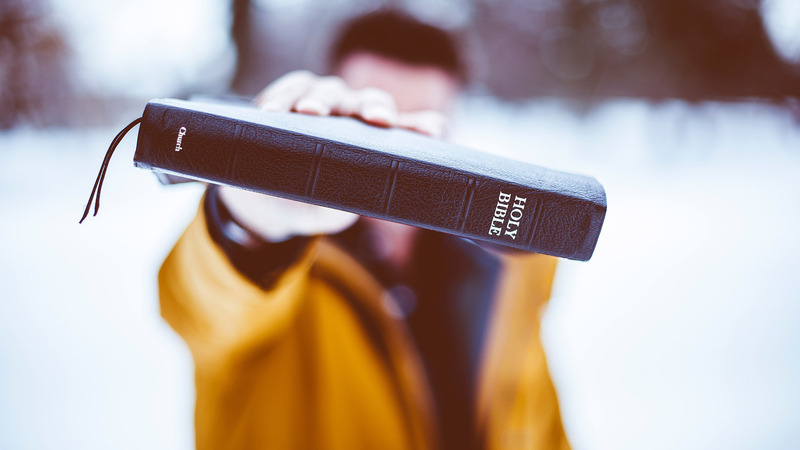 Is Church Membership Biblical? What Do You Do When You’re In the Pit?